Every Time You Go Away seems to have two different book blurbs written for it and two different covers. I’m using the blurb and cover that match the advance copy of the book that I received and I truly hope this is the version that is published as the final copy as the story really did live up to their tag line of “a heartfelt, emotional story about healing a tragic loss, letting go, and coming together as a family”. The majority of the book is told from the prospective of Willa who is still grieving the passing of her husband three years before from a heart attack. Ben had been at the family beach house alone when he passed and in the years since Willa hasn’t been able to bring herself to go to the house or to take her son there but now Willa believes it’s time to let go and sell the house. After arriving Willa feels something a bit off and her dog is also reluctant to enter but Willa just chalks it up to nerves. After meeting with a realtor Willa begins the repairs that will need to be made and finally convinces her teenage son, Jamie, to come help. Soon the two are joined by some long time family friends and Willa finds that she is the only one seeing her ex-husband every around the house. 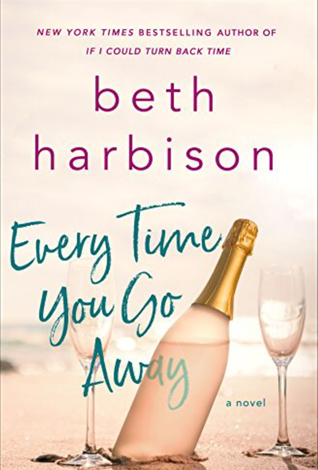 Every Time You Go Away is the third book I’ve read by Beth Harbison and while each have the contemporary foundation to build upon they each have contained something else a little extra to make them unique. In this one we have the main character communication with her husband’s spirit in the home and while some may not be a fan of such a thing in this type of read I rather enjoyed the added twist. The underlying story is still about bringing their family back together after such a huge loss and learning just how to live again themselves and to move on. It’s was definitely a touching and emotional read in a beautiful beachy setting so I definitely enjoyed this one rating it in the end at 4.5 stars. Awesome review Carrie! Somehow I missed this. Thanks! I really enjoyed it but the Goodreads blurb is way way off of what the Amazon one describes so hopefully the ARCs are the actual story that gets published but that other version doesn’t sound like it would be anywhere near as appealing. 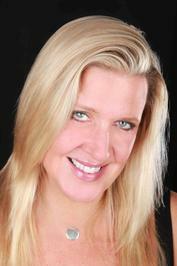 I’ve always been curious about this author, Carrie! Fantastic review! This may be one I want to try from her! Thanks Jennifer! From what I’ve read she seems to have a bit of a twist put into her stories, I won a copy of If I Could Turn Back Time from a Goodreads giveaway a few years back and it was one where the MC went back in time to change her life. I do love her 80s song themed titles! ♥️ I’m taking note of this one, Carrie! I hope you like it if you get the chance to pick it up! Saw a lot of negative about involving the husband’s ghost but I like so many genres so when they cross like this I usually love the books. Thanks Zoe! I’m hoping that the Goodreads blurb is just a rough draft or something and we’ve been given the more final version of the book and it’s been changed for the better. The blurb on Amazon matches the ARC and I’d guess they’d be more apt to update it to the correct version. I think if I’d been handed the divorced version with “Jane” it wouldn’t have been nearly as good. Ah sorry they rejected you. 😦 I’d probably just put them on a wishlist and hope for a price drop sometime, maybe around the holidays, pretty much everything goes on sale then. Not in india. We don’t get many sales, as apparently most publishers don’t think we are a viable market. To be honest I still need someone to explain to me why there has to be separate Amazons for the digital books anyway, it’s all the same thing. I understand shipping costs from actual items that are mailed but an ebook that runs 9.99 and goes on sale here for 2.99 is the same as the ebook you would be buying in India. Exactly… I have been explaining this to kindle department since the past 2 years. The mails I send come with the standard format. I don’t have audible on India yet, I don’t have kindle added to my prime. There are so many things I want, yet they say – we are working on it. An ebook on sale should be on sale everywhere, why do they say they have to work for it? Carrie I have been fighting for all this since 2 years or more, but they have stopped giving me a satisfactory reply. I have stopped fighting. I even mailed and called Amazon USA, they said Amazon India has nothing to do with them. I didn’t know whether to laugh or to cry. Wonderful review, Carrie! I just finished this one and really liked it! It was the 1st time I’d read a book by her, but I plan to read more. I’m glad you pointed out the blurb discrepancies because I hadn’t paid attention! How crazy!! Thanks Stephanie! I’m glad you enjoyed it too. 🙂 The way I do my blog posts I usually copy the blurb from either Goodreads or Amazon and I happened to look at the Goodreads blurb and just had a huh?? moment. Nothing sounded like what i’d just read and I thought I was going crazy for a minute there. Amazon seems to match up though so I’m hoping that would be the site they keep updated in order to sell the book because if they change it to the divorced cheater version the whole story wouldn’t work in my opinion. I do the same thing with my blog posts, but I procrastinate and usually don’t write my post a day or two before I’m about to post it, so with this book that will be weeks and I hadn’t read the blurb yet. I usually just read Goodreads blurb and include it at the top of my post, but I’ll have to double check from now on it matches the story! I just read it, and was baffled..her name is wrong and wow, no, the divorced thing would ruin the true love, tenderness thing in the book. Crazy! I try to keep myself from procrastinating too long with writing reviews up since I read so much, letting them go would be a huge mess. But I can some times get a few books ahead of myself and always take a glance over that blurb as I’m setting up before I begin to write and this time it was just huh…??? And I think to myself I know I’m getting older every day and may forget where I put this or that but I know perfectly well I don’t remember a Jane or anything about a divorce. LOL So then I did what I try not to do and read through a few other reviews and saw that no, I wasn’t crazy we all had a Willa copy of the book. If I’m remembering correctly I came across this once before with details being off in a blurb but this was the first that really sounded like a whole other book completely. Oh no, I’m a huge procrastinator with anything to do with writing because I hate to write hahaha! And I generally don’t finish reading until about 2 or 3 am, so I’m way too tired to write then, LOL. I am a stickler for taking notes while reading and highlighting parts of the book so I can look back at them while writing my reviews, so that makes it not too bad. I read a lot too, 7 to 8 books a week, which is probably not as much as you do, but it would be a huge mess if I didn’t have my and highlights! I’ve got 11 reviews to write now for upcoming releases, but I have to be in the mood to even sit down and get one started. Oh yes, I always go and get the blurb to put on my post before I write it, but I’d never encountered this before! I did start writing my review last night and went back to Goodreads to update the book cover that I had, and I noticed that they have the right blurb under a book cover with no picture listed as other edition…so WEIRD! So I grabbed that synopsis while I was on there. Maybe someone pointed out to the powers that be that it was wrong….idk. I just hope the final copy is about Willa or we all reviewed the wrong book, haha. Ah, I see they did change the hardcover on Goodreads, I swear they were all “Jane” the other day but I’d think if it were a Goodreads librarian they would know to switch them all. Odd. Mine would still be under the wrong blurb though on the Kindle edition but I honestly can’t see them handing out all these copies of ARCs to a story with that drastic of a change still coming. I need to start being more on the ball, lol. I’ve got 11 books I’ve now read that are upcoming for review and notes or note, the more books I read, which I will of course, I just got lost. Lol. I think I’m just going to have to sit down one day and start writing them to catch up. I would hope not! They would be crazy if them to change the book after giving out all these ARCs! They’d look rather ridiculous.. I hope I can get through this one. Losing one’s spouse is so hard. I am coming up on my second anniversary of his death. This is the same blurb I have as well. I will have to get to this one and see how I feel. Great review Carrie. I hope it doesn’t make you too sad to read it. I couldn’t help but think we’d all be happy if we could just get those moments with a loved one again. I agree. I hope to see them all again someday.